For the first decade of the twentieth century more Coca-Cola was consumed in Atlanta than any other city. 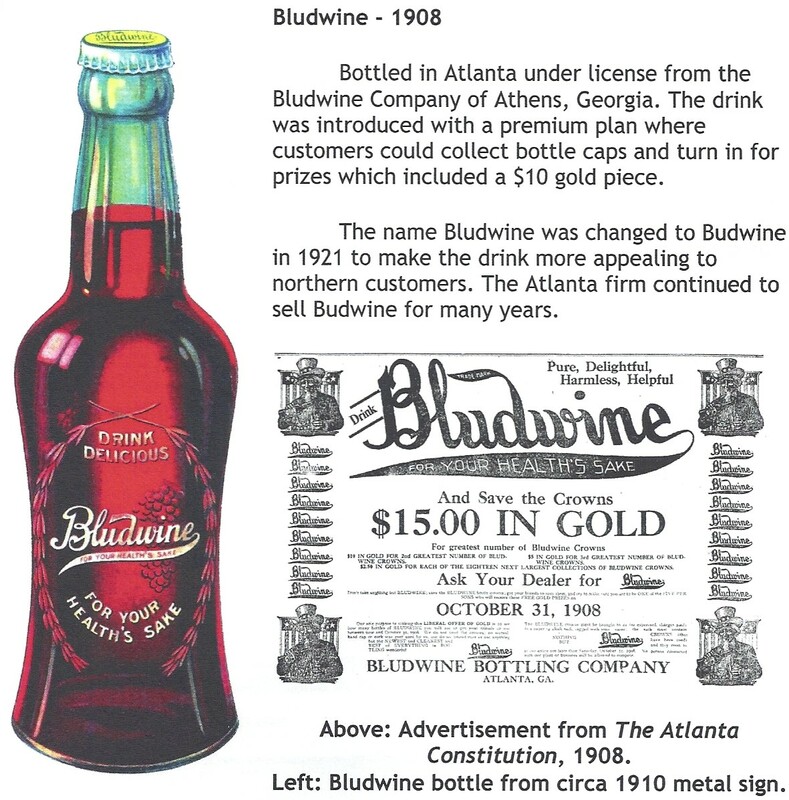 It was the city's most famous product and made Atlanta known around the world in just a few years’ time. But the citizens of Atlanta were drinking more than Coca-Cola - they were also drinking Afri-Kola and Koca-Nola, Celery=Cola and Capacola, Fan-Taz and Pep-To-Lac, Dope and Koke, Jit-A-Cola and Ko-Nut, Nova-Kola and Rye-Ola. In addition to Asa Candler’s Coca-Cola they were drinking Daniel’s Koko-Kolo, Venable's Coca-Kola, and Standard Coca-Cola. Lee Hagan claimed to sell ten thousand drinks of his Red Rock Ginger Ale in Atlanta every day. 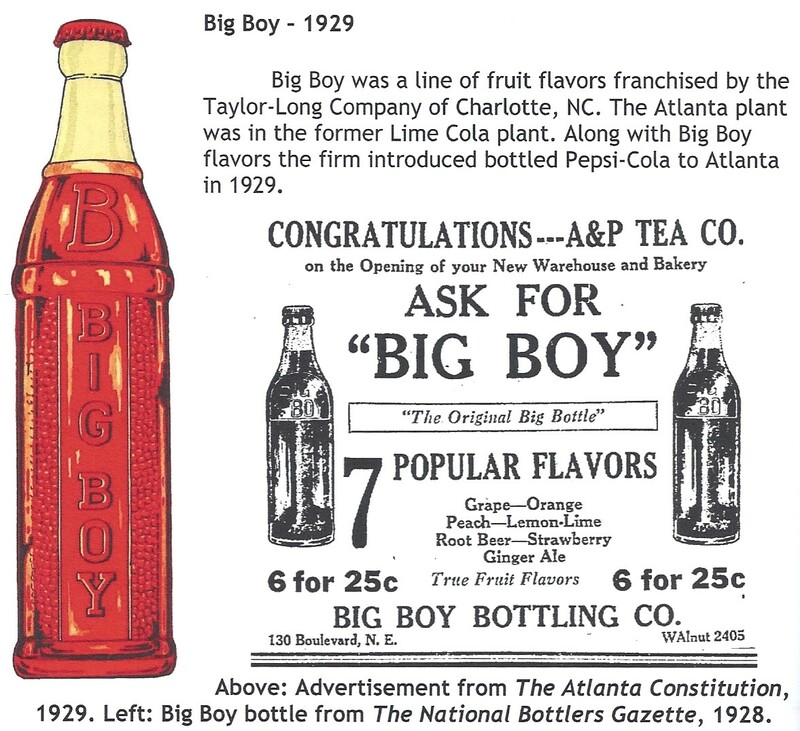 There were dozens of brand name and proprietary soft drinks sold in the city of Atlanta prior to 1920. Many of these drinks were local in origin yet advertised nationally. Afri-Kola was bottled as far west as Texas, Koca-Nola as far north as Pennsylvania, and Nova-Kola as far away as Illinois. Others found markets regionally in Georgia, Tennessee, Florida, and other nearby states. Some of these beverages were intended to ride on the successful coattails of Coca-Cola and found themselves in court as a result. 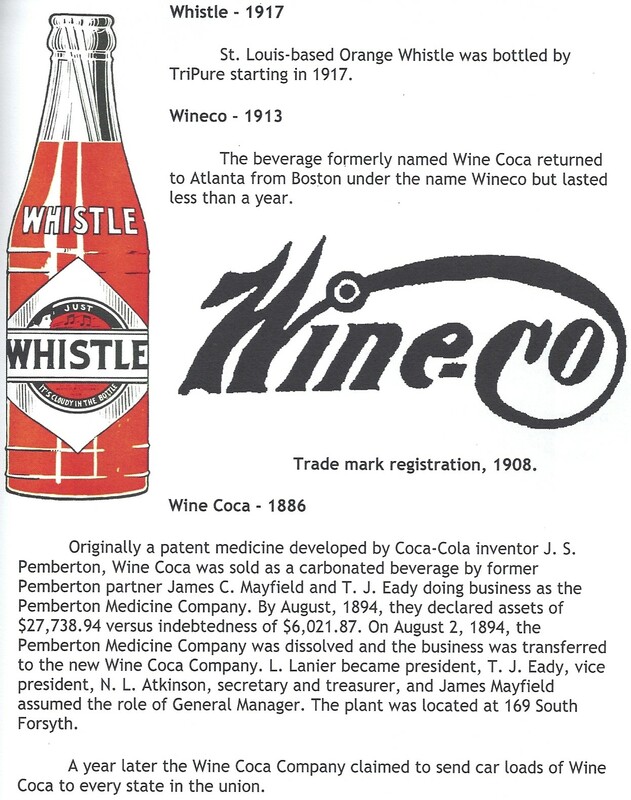 Whether selecting a similar name such as Venable’s Coca-Kola or substituting their drink on calls for the original, these imitators found the Coca-Cola Company ready to protect its trademark and business. 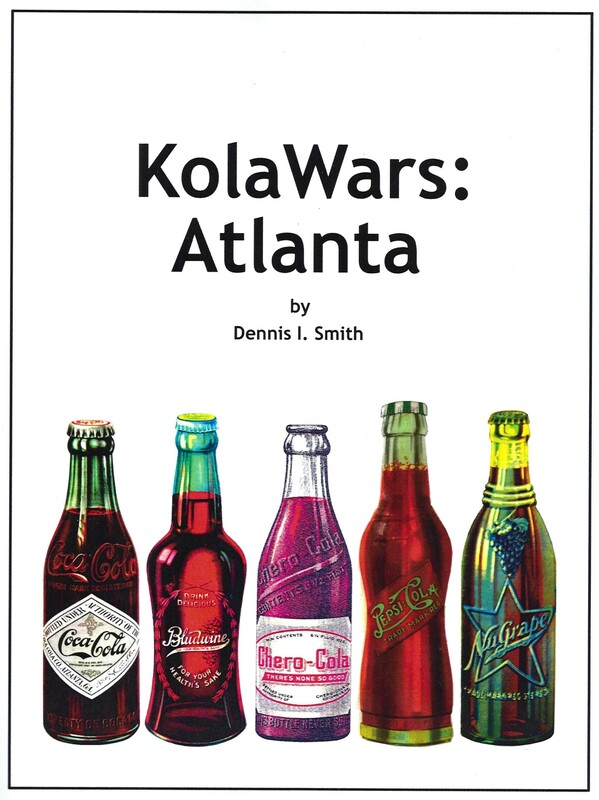 Here is the story of Atlanta’s Kola Wars from the 1880s to 1930. 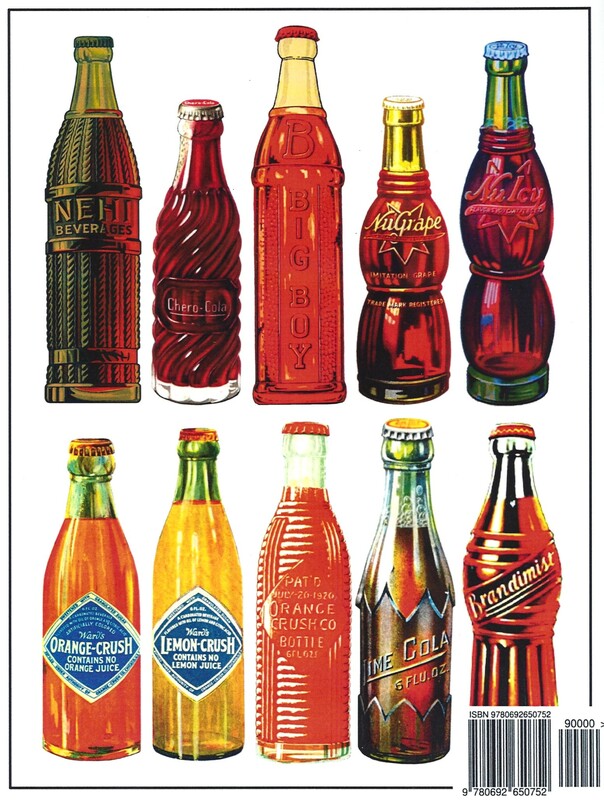 120 pages 8.5" x 11", nearly 200 illustrations - many full color, over sixty bottles pictured. KolaWars: Atlanta may be ordered online or direct from the author for $30 plus shipping to US addresses.